Have you been arrested for a DUI in Lafayette? If you are facing DUI charges in Lafayette, call Amy Morell to review your case. 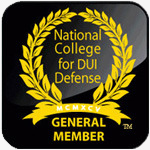 Amy is a local DUI defense attorney with over 22 years of exclusive DUI law practice. A former district attorney and DUI Prosecutor, Amy has devoted her legal career to defending those who have been accused of DUI in Lafayette and the surrounding area. She will not rest until everything possible has been done, all of your questions have been answered, and your fears and concerns addressed. The Lafayette Police Department enforces the DUI laws in Lafayette, California. When you are arrested for a DUI in Lafayette, you will be given a court date. 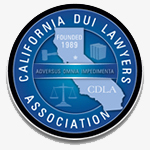 The Court that handles all Lafayette DUI arrests is the Contra Costa Superior Court, A. F. Bray Courthouse, 1020 Ward Street, Martinez, CA 94553. On your court date, your case will be listed on the court calendar, right past security. Your first court date is called an "arraignment." This date is a procedural court date where the complaint is received listing your charges and the police report. The chemical test results are also received. The case is then continued to another court date. In between the first court date and the second court date, the investigation into your case starts. 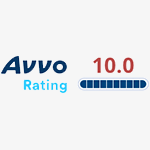 DON'T DELAY- You have 10 days to act to save your license. A DUI charge may have both administrative and criminal penalties. After a DUI arrest in Lafayette, you only have 10 days to petition for a DMV hearing in order to contest your initial license suspension. 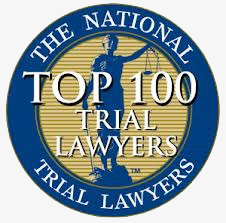 The 10 days include weekends and holidays so it is important you make your request within this strict time frame or you will have waived your rights to a hearing. You can go here to get more information about the DMV process. Amy Morell has defended more than a thousand DUI cases, including conducting more than a thousand DMV hearings. She has saved hundreds of clients from having a license suspension. She can help you too. She is well-versed in the local rules and procedures of DUI cases in Lafayette and surrounding cities. Amy Morell is knowledgeable of local rules and procedures of DUI cases in Lafayette. Once hired, she will work tirelessly and devote her extensive knowledge and resources toward getting you the best possible outcome in your case. She will provide you with specialized representation and will personally handle every aspect of your case. Please call 510-293-9440 to speak with Amy directly.